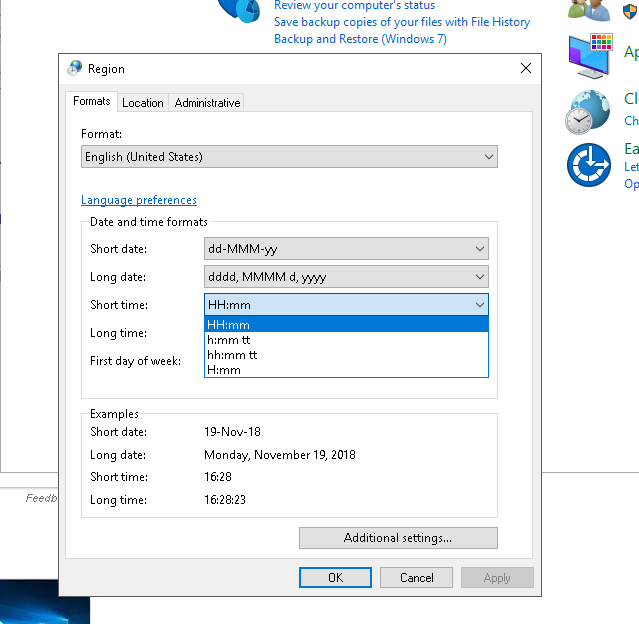 Just follow 5 step process to switch your clock style in Windows 10 to Hour Format or HH:MM format. Open Control Panel. By pressing the Windows button or Start button and typing "control panel". Click on "Change date, time or Number formats" under "Clock and Region". In the new windows that open up, set Shot time to HH: mm.